As your sports academy transitions from busy season to slow season and back again, your daily needs and to-do lists change a lot. It’s tough enough to manage cash flow throughout those changes, and keeping up marketing efforts can be even harder– especially for a facility with no dedicated marketing staff. I’ve long advocated 12-month marketing plans to help you stay ahead, even when you’re slammed during the busy season. But as a former sports academy owner, I also know how difficult it can be to keep these advanced marketing plans updated. If you’re struggling to plan more than a few weeks or months ahead of time, it’s time to try a simpler method. Even a marketing plan that only covers the basics — just for those times of year when you stand to make or lose the most money — can make a huge difference in your bottom line. Marketing for sports facilities usually revolves heavily on events like camps, clinics and classes. However, you can’t get too specific with these types of events until a few months before they happen. 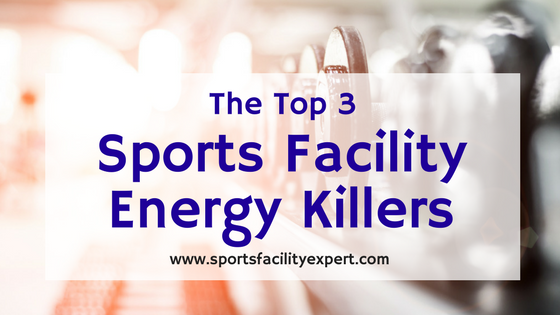 To schedule them, you have to contend with variables like staff availability, the schedules of local sports teams, and even the availability of your own space. Events also take time and energy to plan, with details like pricing and structure to figure out. I think that’s why when I encourage owners to lay out 12 months of marketing, they can’t seem to find the time. Unfortunately, that usually means they end up doing little advanced marketing planning at all. Start smaller with separate brainstorming sessions for each individual sport that you cater to, starting with your most popular. Only plan certain broad details, like camp focus, in advance, leave the specific details for later. Focus your advanced marketing planning on non-event promotions. By non-events, I mean things like memberships, private lessons, rentals, birthday parties and even retail products. These are usually available all year and require very little extra planning or staffing on your part. Although camps and clinics tend to bring in the most revenue per square foot per hour, non-event services are also extremely valuable. They stabilize your monthly income and add essential revenue throughout the slow season. Ready to get started with a basic plan for your non-event marketing for the year? Around mid-summer, as early as the first weeks of July, parents start thinking about their kids’ plans for the fall and early winter. This is usually when you see stores putting up displays of school supplies. It seems early to be thinking about fall plans, but parents often have to make them well in advance. If you’re not ready to compete with the other programs that will by vying for the attention of these families, you could lose potential clients for the rest of the school year. 3, 6 and 12 month memberships. Get creative with membership perks — they could include any combination of rentals, lessons and classes. Discount the longer memberships more heavily. Lesson packages. 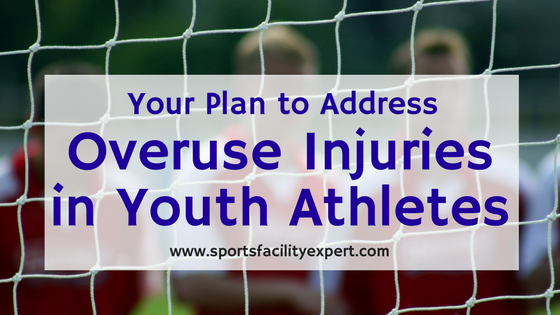 Build packages of lessons that are meant to last throughout the school year and are designed around athlete goals. Big packages of rentals. Encourage families and teams to book before the winter rush and hand out some discounts on bulk rentals to motivate them. Tools like eSoft Planner — the program my company built for sports facilities — can help you create these packages and memberships easily, then sell them online. You can also promote these products at open houses or open gym style events throughout the summer where kids can sample your programming and get free evaluations. In the late fall, families in your target market start to shop for Christmas and holiday gifts. This time of year is also when most adults consider making fitness goals. It could be your only chance all year to get the attention of this particular market segment. You can extend your fitness specials for adults past Christmas or even wait until then to announce them. However, these packages can also make great holiday gifts, so it’s better to have them available to buy along with your other holiday-focused packages. Lessons or rentals packages combined with retail products. Your customers can wrap these and put them under the tree. (If you don’t sell retail, a promotional T-shirt or apparel is also a great addition). You may have luck positioning these packages toward getting athletes ready for spring sports. A general gift card or store credit. These are great for gift givers who aren’t sure which program to choose. Possible incentives could be a bonus $10 for every $100 purchased. Personal training packages for adults. “Boot camp” style fitness programs for adults should be discounted now. Corporate parties or team building events. These could make fun alternatives to typical holiday parties if you have the right audience. Early in the spring, most sports facilities throughout the U.S. are still full of athletes due to the cold and wet weather. But soon after that, your clients will be drawn away from your facility by parks, backyards and family vacations. Unlike the other two points we’ve mentioned, this isn’t exactly a time when parents are already looking for something to meet their own needs. Instead, you have to work a bit harder for their attention. If you wait until the facility already slows down in the warm weather, you will be facing a very slow few months. Birthday parties – There are lots of advantages to having a birthday party indoors, even when the weather is nice. For more on selling birthday parties in the off-season, read the whole post on the topic. Rentals – Since these are generally a tough sell in the summer, promote any technology you have (you can practice batting outdoors, for example, but you can’t get real time digital stats) and offer deep discounts on space. Related: Is batting cage technology worth the investment? Strength and Conditioning – A lot of athletes simply want to maintain their physical fitness over the summer, either because they’re home from college or they don’t want to start from zero when it comes time for fall sports. Develop packages just for them. If you don’t have your marketing planned for these three key times of year yet, you should be able to get some ideas onto a calendar in just a few hours. Any other strategies for planning your marketing? Leave a comment below. 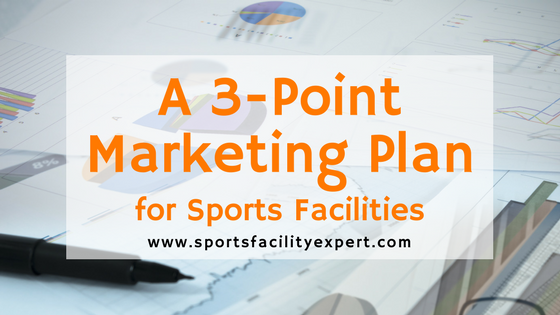 And if you’d like to talk to me in person about developing a marketing strategy for your sports facility, I now have some limited availability for consultations. Click here to learn more.